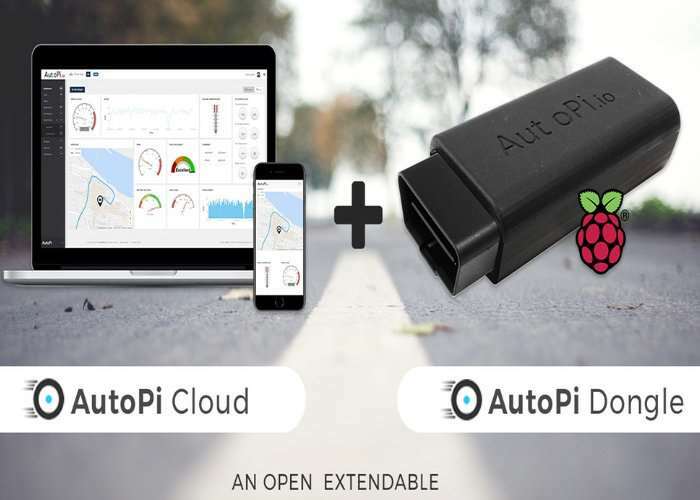 AutoPi.io is a new Internet of Things platform which is designed specifically for vehicles and can be easily installed on almost any car to provide a wealth of new advanced features and functionality. Taking the form of both a cloud-based application and in car dongle AutoPi.io allows you to set up and program your car if it is newer than 2002. Check out the demonstration video below to learn more. The AutoPi Dongle and the AutoPi Cloud make up an IoT maker platform, which allows you to add advanced features to your car and gives you a lot of extension possibilities. The AutoPi Dongle plugs into any car newer than 2002, using the OBD-II port. Once installed it connects and communicates directly with your car, making your car intelligent, with the help of the AutoPi Cloud platform. • Always online. Even when you are not in the car. • Built on Raspberry Pi, running a full open Linux operating system. • Extendable by you. Plug in or connect using USB, GPIO, HDMI, Bluetooth or WiFi. • Customize and build your own software features without tedious initial project setup. • Always up-to-date, with OS and security patches pushed to your device. • Power-save and sleep mode. Connect and forget about it – your car’s battery won’t be drained. • Easy setup. Only 5 simple steps and you are ready to go. • API available. If you want to integrate with other systems. • Quality assure. We use the best components and technologies available. • New features continuously available from an open library. AutoPi.io is now available to back via Kickstarter with early bird pledges starting from €205 and delivery expected to take place during January 2017. For full specifications and more information jump over to the official Kickstarter campaign page via the link below.